Several readers were in contact this week to share their stories of what is going right in healthcare IT as well as to sympathize with my experiences in the trenches. Others tried to guess the location of the lighthouse – no one has nailed it yet and I’m reluctant to give up my favorite beach just yet. From Northern Lights: “I wanted to share what we are doing based on big data. Evidence has shown the outcomes are better if the mother carries the baby for at least 39 weeks. We’re working to reduce the number of elective births before 39 weeks to zero statewide! My little ‘ole community hospital captures the expected due date from the mother at the first maternity encounter. Then we programmed the scheduling system to not allow scheduling of elective inductions or C-sections before the 39-week threshold. Rocket science, I know, but our hospital hasn’t had elective early deliveries in over a year.” She went on to say that a couple of the providers were afraid this would cause problems with vacation schedules, but accepted it once they saw the evidence. These are the kinds of interventions we should be doing with big data. I appreciate your sharing it with me. From The Other Jane: “I saw Mr. H’s post about OBs having to take down the photos of the babies they’ve delivered, even when the photos in questions have been provided by the babies’ mothers. It’s sad that HIPAA is so restrictive.” I agree – I hadn’t seen that article before I read the Monday Morning Update. Most of our OB offices still have a baby board, so I forwarded the article to a couple of my colleagues. I thought our compliance offers were uber-conservative, but they haven’t caught onto this one yet. I doubt they read HIStalk and I’m going to pretend that I didn’t see the article. I forwarded it to a couple of friends out of state as well. One sent back a copy of the consent form they keep on the checkout desk for parents who want to drop off a picture. Another said they’re skirting under the premise of implied consent and the parents have to physically place the picture on the bulletin board. The article mentioned fertility clinics not wanting to “out” parents who used an egg donor. I’m guessing that parents in that situation might not be so apt to give their infertility specialist a picture to post in the first place if they have that concern. As a family doc who had a solo practice in a small town, I had to get used to patients who didn’t care about showing off their problems in the supermarket checkout lane. Patient privacy took a back seat to impromptu consultations or the chance to avoid a co-payment. My favorite privacy violation took place one year during the Founders’ Day parade, when I was riding on the hospital’s float. A patient’s wife called over the crowd to tell me how much better her husband’s hemorrhoids were doing. No one batted an eye or looked shocked, which tells you a little about life in a small town. Over on HIStalk Connect, Dr. Travis has written a fair amount about mobile fitness trackers and applications to promote health and wellness. I have used Garmin devices to track my runs for nearly five years. Unfortunately, my current one’s specifications for being waterproof didn’t stand up to my recent beach activities. 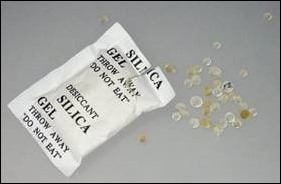 I tried to resuscitate the patient using a Tupperware container full of rice, a Ziplock bag with silica gel, and even prayer, but it could not be saved. I only use a fraction of its capabilities and use the same routes all the time, so I thought I’d test drive using a regular sports watch and manually logging my activities on the GarminConnect website. Even though I had the same data points, there was something less satisfying than having all the details for each unique run. I hadn’t realized how much I had subconsciously bought into the concept of the quantified self until I could no longer track my activities. I could have done an out-of-warranty replacement for my GPS, but I decided to instead go for something newer and smaller. The process of trying to find the “right” device was daunting to say the least. One of my vendor friends turned me on to the DC Rainmaker blog, which had some great device comparisons that ultimately helped me make up my mind. I’ve never used a Fitbit or any of the other activity trackers, but ended up selecting a running watch that also has those capabilities. It was actually the battery life that made me choose that device over a similar one, but I thought I might have fun with some of the other features. I braved the back-to-school tax-free shopping madness and it’s on the charger for tomorrow morning. I can’t wait to wear it to work. The inactivity indicator tells you to MOVE when you’ve been sitting more than an hour. I think that feature might become an integral feature for Meeting Monday. What do you use to track your activities or quantify yourself? Email me. I use the fitbit and love it. for steps on stairs, totals steps per day, it also does a decent job of giving me credit on the spin bike or outdoor bike. the big reason I love it is the ability to monitor my sleep. have been seeing a sleep specialist (MD and nurse practitioner) and I downloaded several months of sleep restlessness (time and frequency) from the fitbit and put into an xls and took to one of my appointments. it was very helpful to use that in conjunction with data from cpap machine to see if we/I were making progress. so, I get a double impact from the fitbit. I monitor my sleep quality and restlessness every night. I love it! I’ve been trying to decide on an activity tracker for literally months. The fact that Tory Burch *finally* released their fitbit line should make this an easy decision. I look forward to hearing what other readers use!